The name “Art Deco” appeared in the 1960s to name the style that had conquered Paris in 1925 during the International Exhibition of Industrial Modern and Decorative Arts. 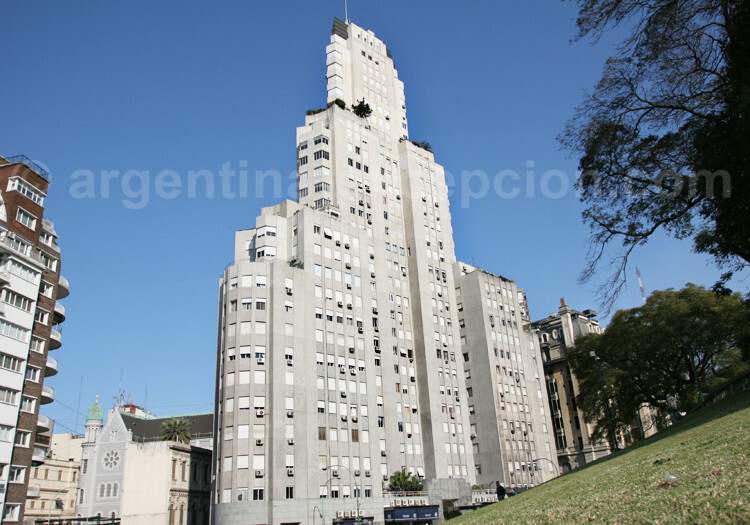 It appeared in Buenos Aires in the second half of the 1920s. 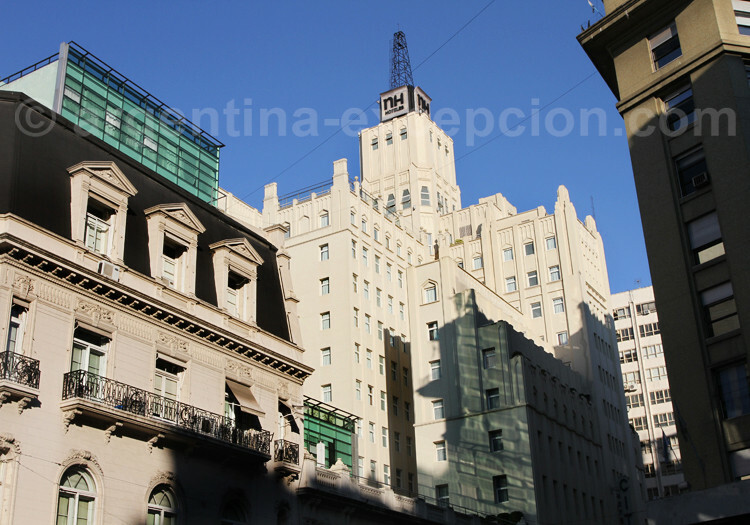 The Argentine capital city has an interesting catalog of high quality buildings with Art Deco style in each one of the neighborhoods . This movement came after the Art Nouveau style when it started to bore the people. It made a change that, without leaving the inspiration into flowers, was oriented to the rectilinear simple lines, the straight lines, the orthogonal structures of the reinforced concrete architecture. As it may be given different shapes, this material was frequently used. This modern tendency of using this style was called “functional” and searched an industrial production for massive customers. The monuments are very high quality with very simple shapes; the objective was to give preference to the ornamental aspect. This tower was opened in 1939 and, for a long time, it was the first skyscraper in Buenos Aires. It is made of concrete; it stretches over a 2,400-m² area and it is 120 meters high. It has 33 floors, 113 homes, 13 elevators, 5 independent entrances, 5 escalators and a parking lot; this building was completely unprecedented for those times. Strangely, this building lacked intercommunication and each visitor had to announce their presence to the receptionist who will then call each apartment. It is an Art Deco building made up of a central block to which four smaller parts are annexed. Thanks to its staggered shape, some units are bigger with great terrace balconies with a stunning view of the city. The building received a Town Award for being the best façade, and in 1999 it was classified as a National Historic Monument. The Sofitel Hotel Tower located on Arroyo Street was formerly a residential building that was named after the first owner: Nicolás Mihanovich. Now it belongs to the Sofitel group that bought it five years ago. 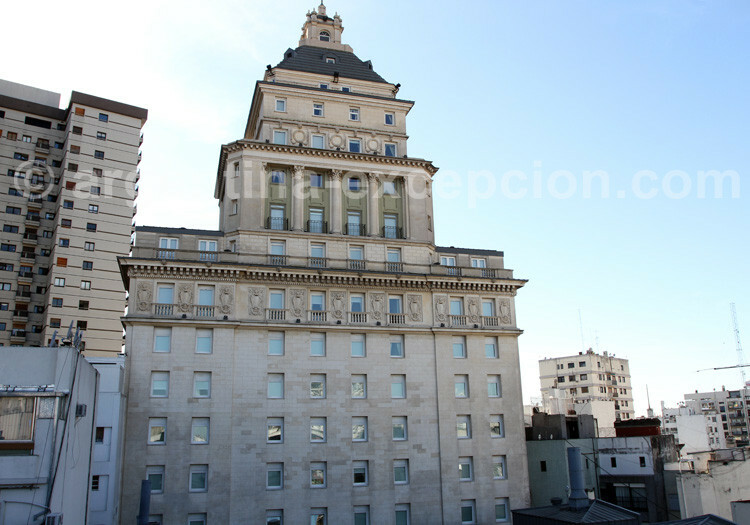 Mihanovich’s purpose was to build the highest building in Buenos Aires to see his ships departing from the port. Although the builders wanted it to be 95 meters high, this height was considered too dangerous for those times and it was reduced to 80 meters. The towers show a perfect combination of the French and Art Deco style.